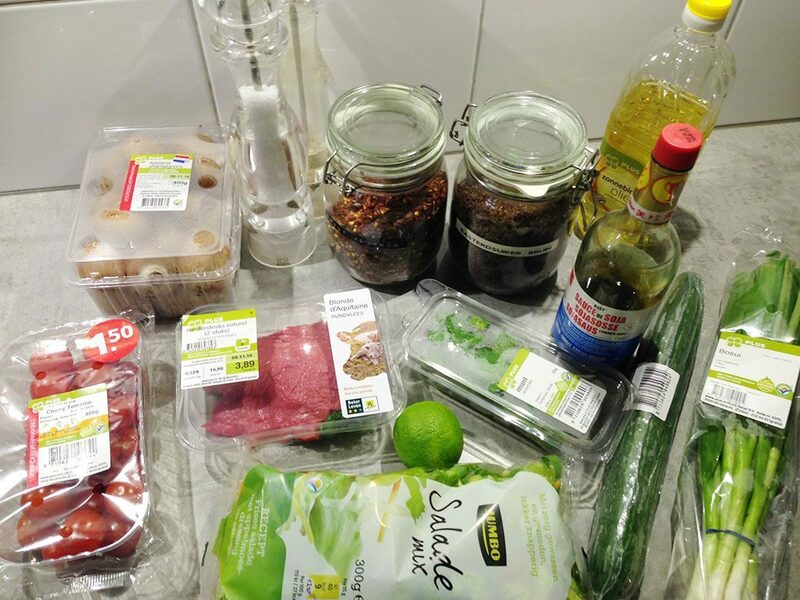 Create an easy sauce by combining juice and zest of 1 lime with soy sauce, brown caster sugar, chili flakes, pepper and salt. RINSE the chestnut mushrooms using a brush or paper kitchen towel and chop into quarters. CHOP the cucumber into half and then into thin slices. Also CHOP the green onion into rings and chop the cherry tomatoes into halves. 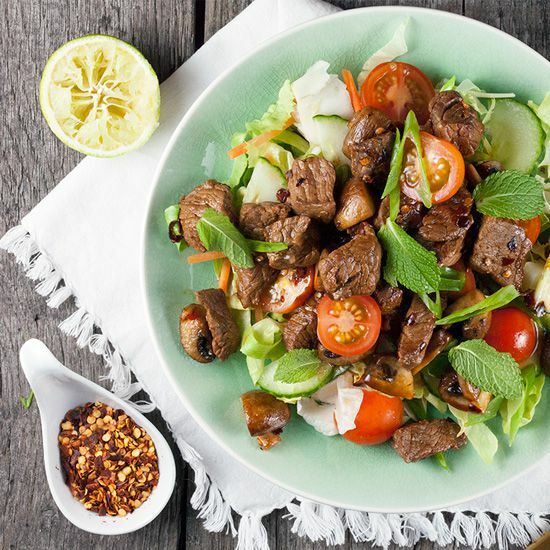 DIVIDE the beef steaks into bite-size pieces and if needed, rinse and dry the mixed greens. HEAT oil in the medium-sized skillet and cook the chestnut mushrooms for a short moment. ADD the pieces of beef and cook them for about a minute before adding the soy sauce mixture. COOK it for a few minutes more, but make sure to not overcook the beef. 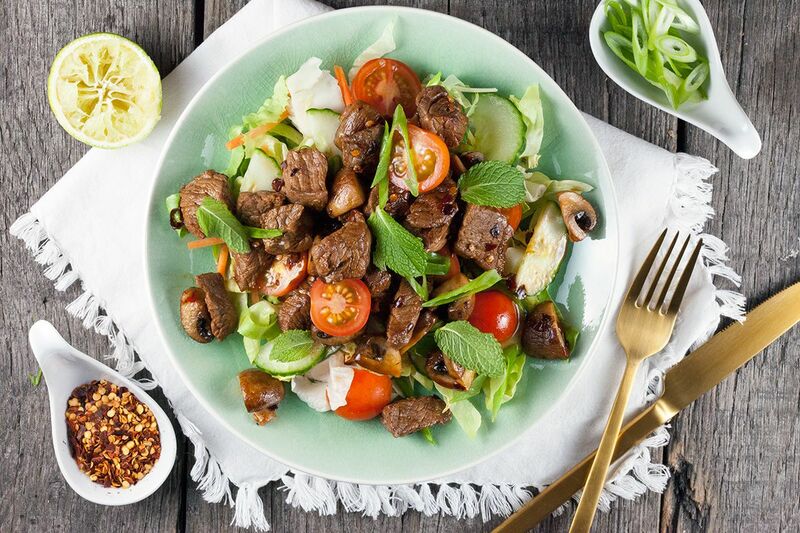 DIVIDE mixed greens, cherry tomatoes, cucumber, beef and mushroom over two plates and finish it off with green onions and mint leaves. Enjoy!